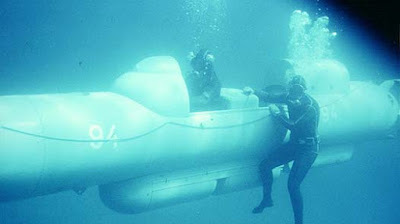 The craft weights 2,100 kilograms out of water and is 7 or 8 meters long according to type. It is constructed of tough steel and it resembles a torpedo but has two cockpits for the crew. 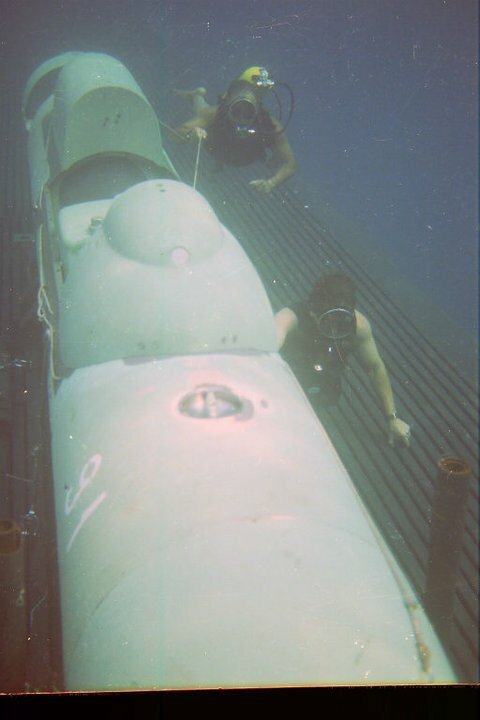 Some models have a roof with sliding doors for the cockpits but the majority of the models are open to water and the passengers must wear full scuba gear. 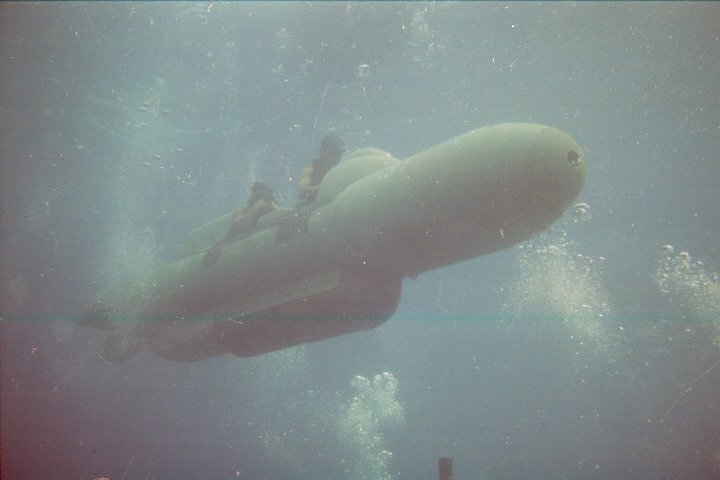 In some models the rear cockpit is long and can seat two divers for a total crew of three. 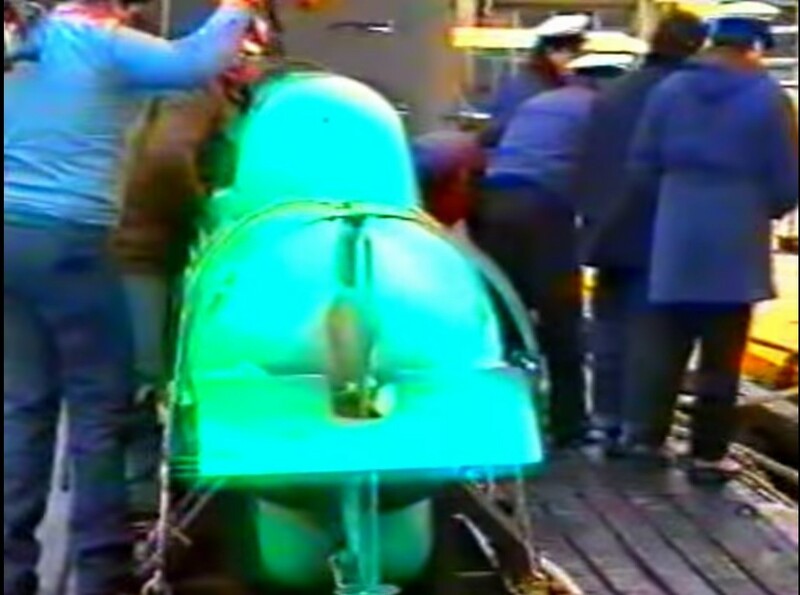 Its battery-electric motors gives it a submerged range of 50 nautical miles (95 km) at four knots, the maximum speed being five and a half knots. For long distance it generally reaches the operating area either attached to or towed by another vessel. 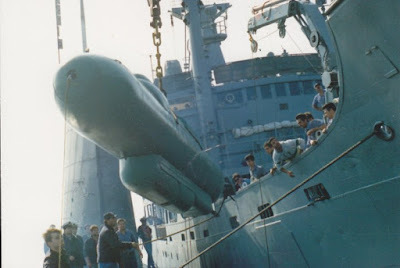 A belly-pan beneath its hull can carry special equipment or 230 kg of heavy explosive charges or 150 kg of limpet mines carried in a locker over the aft fuselage. 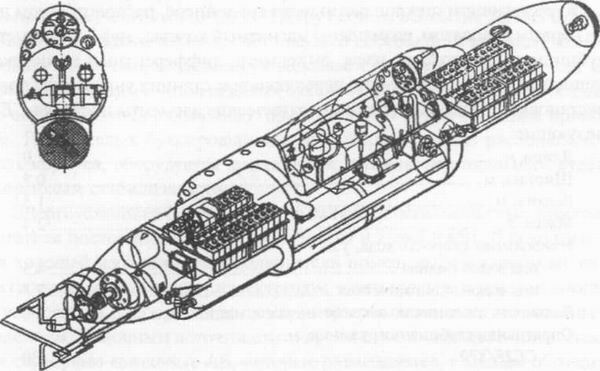 Models of CE2F were also marketed with small 'micro-torpedoes' carried in a belly-pan beneath the cockpit, stated to be for use against divers or small underwater vehicles. 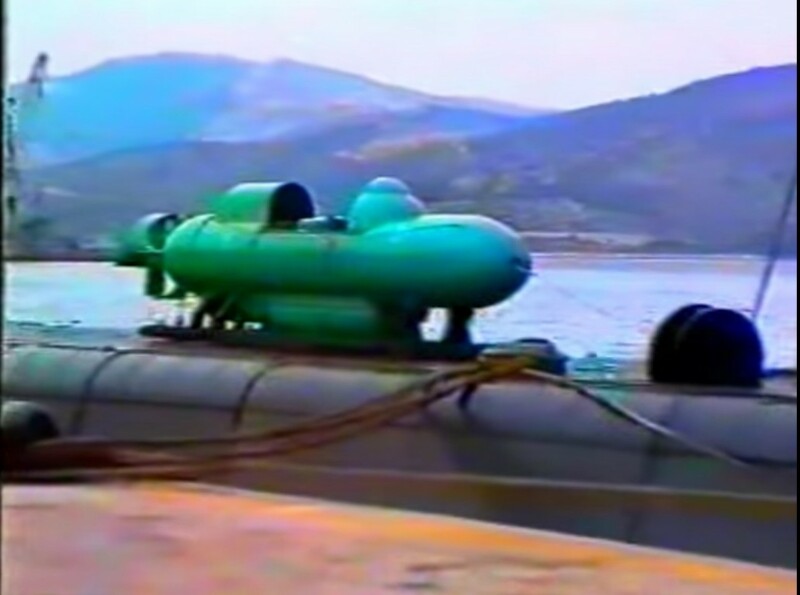 Screenshots from a video by M. Skordis where an SDV is loaded aboard Katsonis (S-115), a Tench class/Guppy III submarine of the Hellenic Navy. You can enjoy the video in the next paragraph, after the following screenshots. 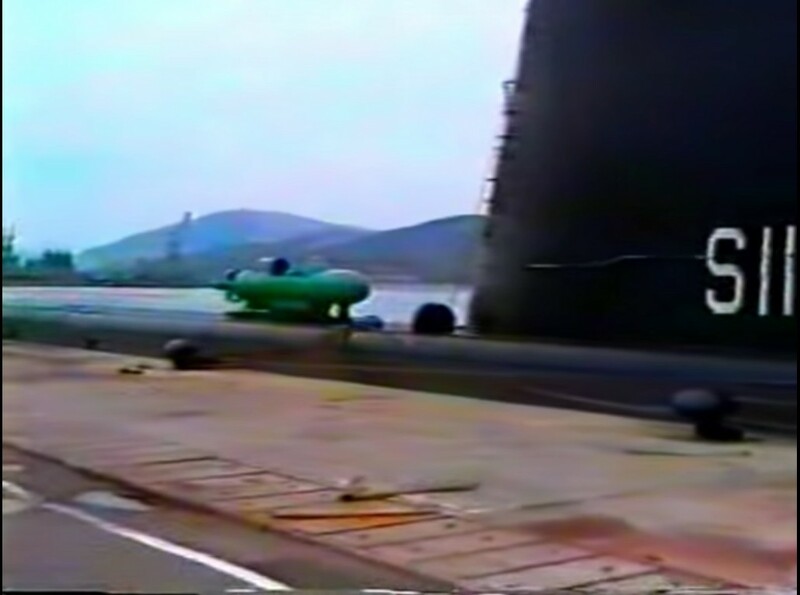 From 7:00 till the end of the following video by M. Skordis you can watch an SDV aboard Katsonis (S-115), a Tench class/Guppy III submarine. The CE2F was produced in various variants over forty years (early 1960s to early 2000) and exported to several countries. 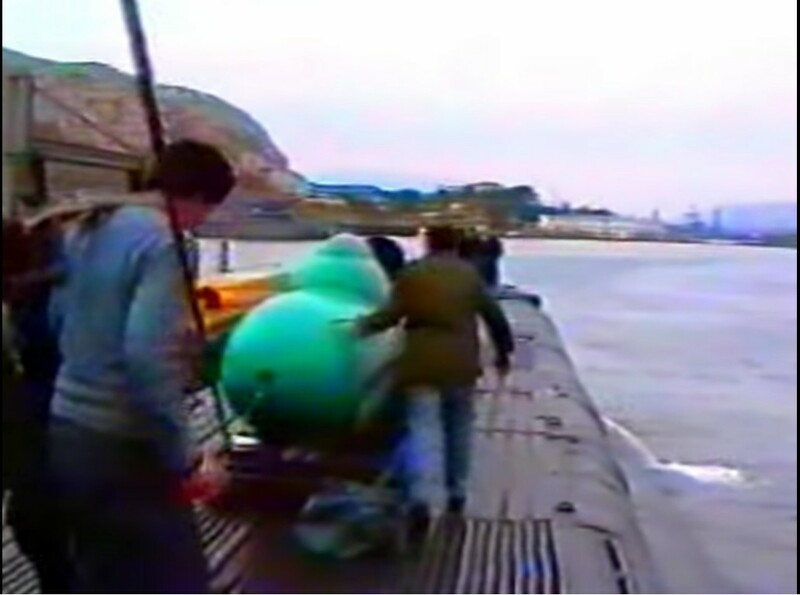 Models were designated according to maximum operating depth in meters - /X30 = 30m etc. X30, X60 and X100 versions were sold. The /X100T version was the most advanced type marketed showing the final evolution of the design. It has digital control module, displaying navigation and platform details, and a fully integrated autopilot. 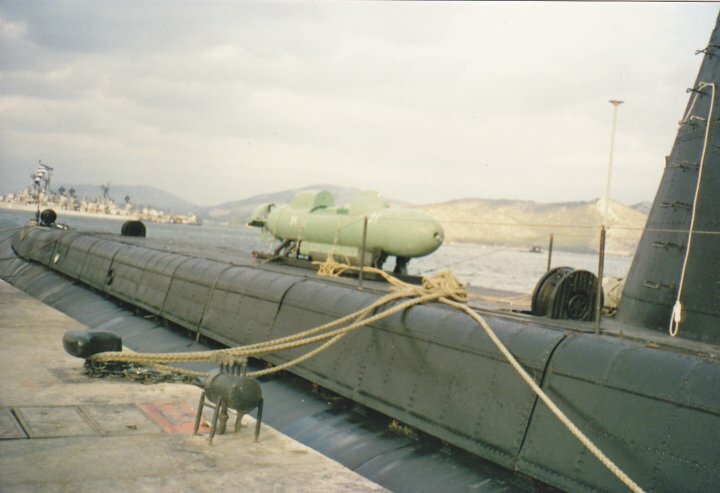 Except Greece, they were also several other countries that purchased variants of the type such as Taiwan (CE2F/X30), Colombia (CE2F/X30 later upgraded to X60), India (CE2F/X100), Pakistan (CE2F/X60 and X100), Argentina (CE2F/X60), Egypt (CE2F/X? ), Philippines (CE2F/X60) and South Korea (CE2F/X60). A very detailed article about the Cos.Mo.S CE2F chariots you can enjoy here. 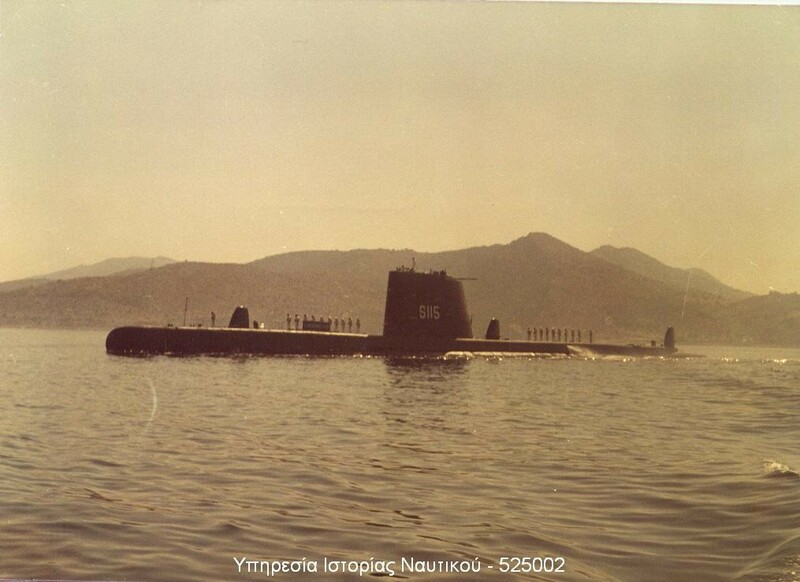 The Greek chariots were operating from the two US-built GUPPY (Greater Underwater Propulsion Power Program) submarines, the Papanikolis (S-114), a Balao class/Guppy IIA submarine (ex-USS Hardhead SS-365) and Katsonis (S-115), a Tench class/Guppy III submarine (ex-USS Remora SS-487). Both boats had the appropriate infrastructure to carry the SDVs as well as they had the escape hatch for OYK divers of the Underwater Demolition Command, the Hellenic Navy's elite special warfare unit. 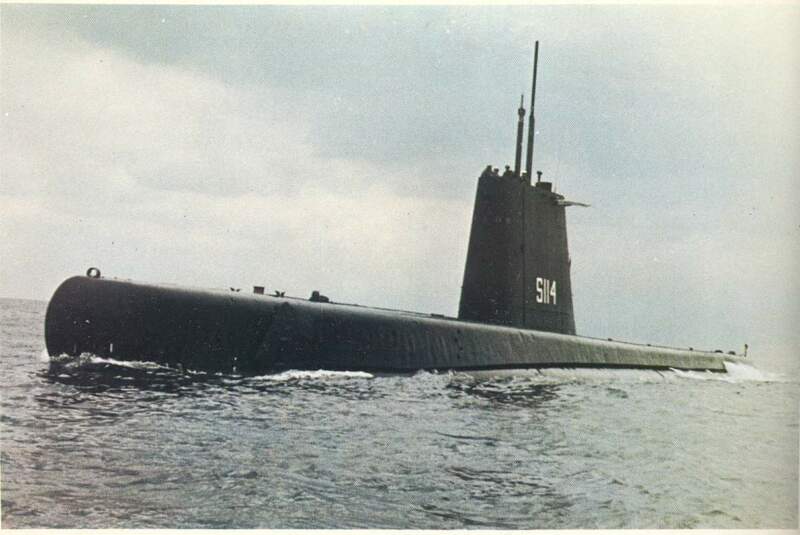 The two GUPPY submarines were decommissioned in the early 1990s and thus gradually after some years the CE2F/X60s were also retired. Unfortunately, nowadays, the Underwater Demolition Command does not have SDVs in her inventory and due to Greece's debt crisis, there is no plan to purchase new ones in the near future. A CE2F as a static display at the Underwater Demolition Command base. 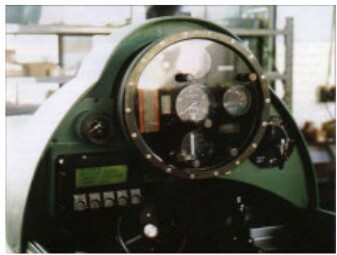 Notice the original light green-blue camo in the interior of the vehicle. 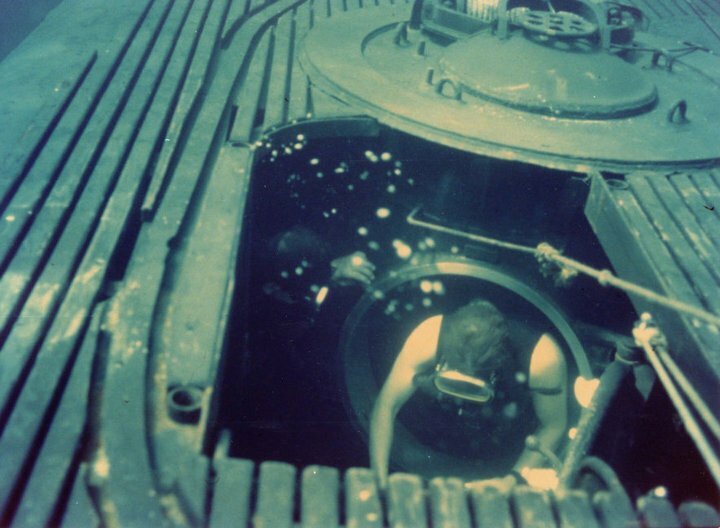 SDV´s look epic,and they trigger heroic associations,but are they still that effective nowadays,with all those detecting systems that can "hear" even a sole diver? 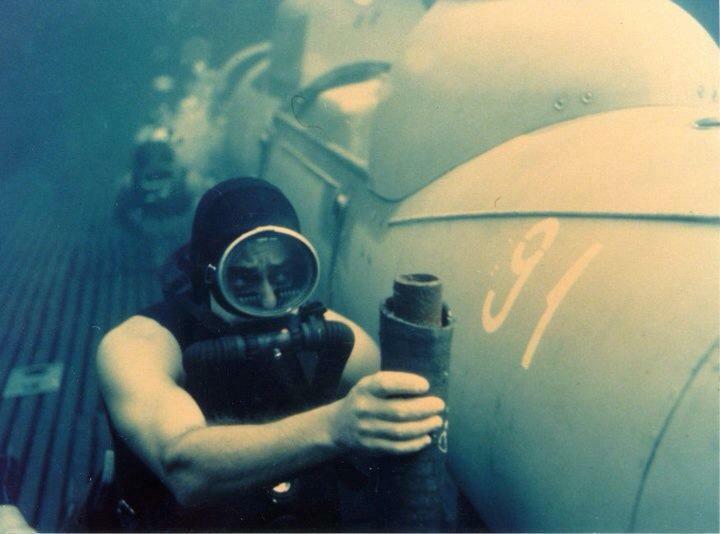 Harbors are plenty, systems few, especially warships that can detect divers. 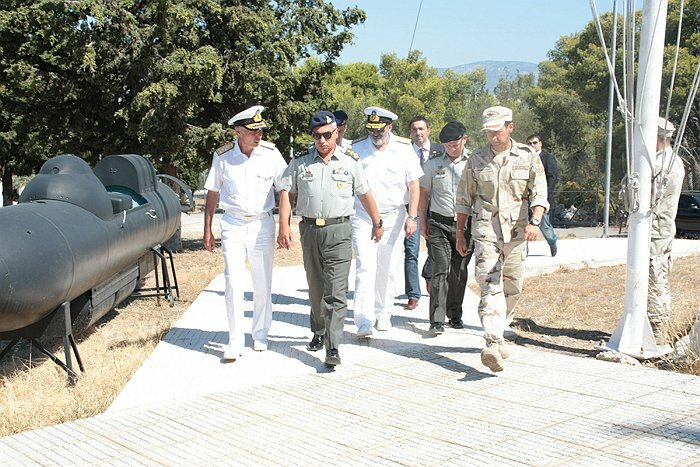 Think the numerous Greek islands, think the Greek warships and their equipment and you have your answer if these SDVs represent a threat or not. Even more, the weapon systems to encounter such a threat. Of course the future is the drone, no doubt about that. PS. Aχέρων the last article about the Japanese destroyers was written especially for you, for your thesis! He he! Send me a PM so we can talk! Article written especially for me?!! Hey,i like this place more and more day by day! Where should i send that Prime Minister so we can talk? No, it isn't. The source that claims that the depicted SDV is of Greek origin is non reliable, I have asked the author (HI Sutton) about it. Moreover, there were never SDVs in Greek inventory with such configuration.